We live in a very visually oriented world. So if you want to start a business, you need to have compelling images. Those images can vary based on whether you provide products or services. But there are ways you can enhance your images for both products and services. 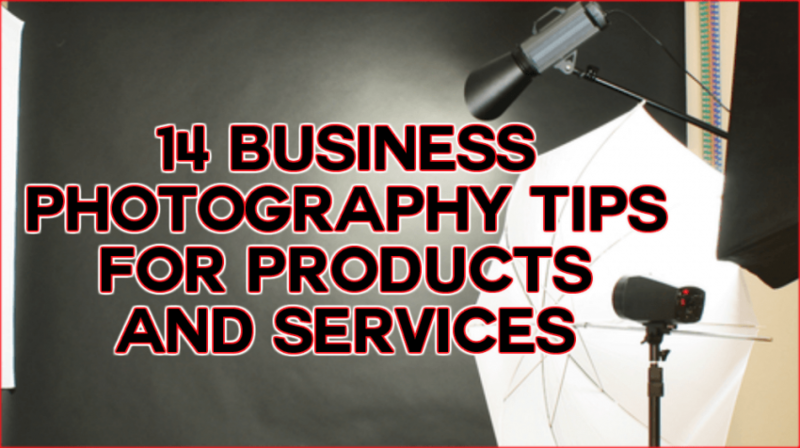 Take a look at the business photography tips below. When customers only have a few photos to get an idea of what your product is like, rather than the actual product right in front of them, you have to try and recreate that experience as closely as possible. Show them what your product looks like from the front, back, side, underneath, above, inside and any other angles you can think of. When taking photos of all the different angles and views of your product, make sure and also include a close-up or two. This can give your customers a real idea of the quality of your materials and the feel of your product. Good lighting is essential in any kind of photograph, but especially when it comes to showcasing products. Insufficient lighting will make it difficult for customers to even see your product properly. And harsh lighting will give you really dramatic shadows that can be distracting or even obtrusive to the image. So you need to try and find soft natural light, preferably near a window. Or you can invest in some professional lighting equipment to add light to multiple sides of your product. A light box can be a great tool for helping you get the right lighting for your product images. A light box is basically a box with a plain backdrop and translucent openings on the top and sides to let light in evenly. You can purchase them pre-made or even create your own with a box, some paper and a few light sources. It can also be beneficial to show your products in use, so that customers can really get an idea of what it’s like. So if you sell clothing or accessories, it’s great to show those products on their own on a plain background. But people also probably want to see what those items look like on an actual person. So you can give them a few different views of the product both on its own and in use. Styling your photos with different backgrounds or props can be fun. And it might fit with your business depending on your products and style. But you need to be careful not to clutter the image. The focus should always be on your product. So if you do choose to use any props or backgrounds that aren’t plain white, make sure it’s very minimal and showcases your product in the very best light. While you definitely don’t want to include too many things in your product images, it can be beneficial to include at least one image that shows the product alongside something that has a uniform size, so that people can get an idea of the scale. For example, if you sell jewelry, you might show your necklace pendant alongside a coin. Or you could photograph a small product in your hand, or a large product like furniture in an actual room setting. 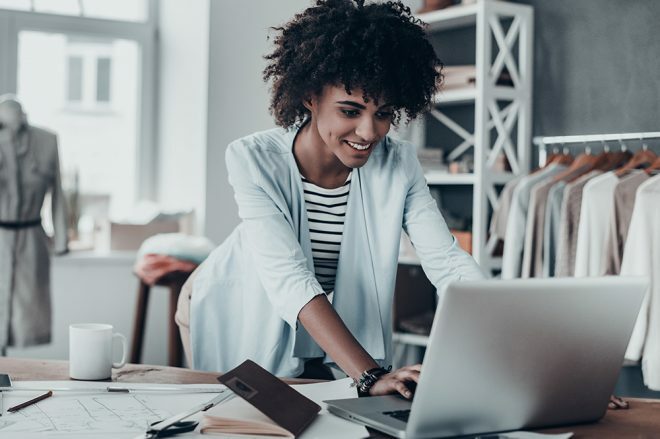 If your business provides services rather than products, coming up with images to display on your website and marketing materials can be a little trickier. 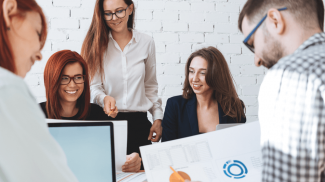 But since people coming to you for services are likely to work closely with members of your team, it’s important to show people the faces behind your business. You can show your leadership team or your customer facing team members actually providing services to people. Showing your team members actually working can be more dynamic and effective than just showing a posed photo or two. If you provide home repair services, include some photos of your team actually doing the work. If you provide consulting services, show yourself interacting with clients. To get those action shots to actually look real and not posed, you have to really prepare beforehand. Set up your camera on a tripod pointed directly at the area where you or your team members will be working. Then set a relatively high shutter speed so that your image won’t be blurry because of a moving subject. And try to get several images throughout the process so that you can choose the ones that look best. It can also be beneficial to take photographs from several different angles or perspectives. So if you provide clothing alteration services, you could take images that include you working within your entire workspace, but also a close-up of you stitching up different garments. 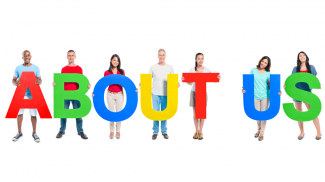 There are so many different things that go into providing services. There’s the planning stage, the gathering clients stage, the working stage, and the bookkeeping stage. There are some of those points in the process that are inherently more important or better suited for photography (people probably don’t want to see you doing your bookkeeping). So choose the stages that are most important. For instance, you can photograph a handshake to show a deal being closed. Certain types of services could also lend themselves nicely to before and after images. If you paint houses, take photos of the homes throughout the process to show the quality of your work. Or if you’re a hair stylist, show the difference in your clients before and after you cut and style their hair. Just make sure that both photos are high quality and shot from the same angle and lighting, so that customers can really see the differences. Overall, customers looking to hire you want to know what you will provide services that make them happy. You can use photography to show that you have customers who are satisfied with the services you’ve provided for them, either through portraits, action shots or before and after images. Instead of a light box, there is this trick of getting a huge box and then putting some paper on the sides with some desktop lamps. It works the same as a lightbox but not as expensive. Yes, you can absolutely make your own. It’s actually really easy! Aside from video creation, I think that photography has now grown to be a valuable skill in marketing. With today’s visually oriented audience, the skill has become even more in demand. I completely agree. Having great photos is important for any business. Right. I think that photography has become really valuable that I can only see it get bigger in the upcoming years. The problem is really on learning it. For sure – if you’re not going to hire a professional to take ALL of your photos, you at least need to learn the basics.